He also emphasised PM Phuc and the Vietnamese Government’s strong commitments and resolve to promote production so as to get further involved in global supply chains. Noting the pillars basing on which Vietnam will promote fast, sustainable and inclusive development, PM Phuc said the country will work to better ensure macro-economic stability since this is an important factor to win investors’ trust. It will also improve the economy’s resilience and capitalise on tourism, agricultural and information technology advantages. Additionally, it will step up institutional reforms, perfect the socialist-oriented market economy institutions in line with international practices and commitments which Vietnam participates in, and enhance the integration into the region and the world. 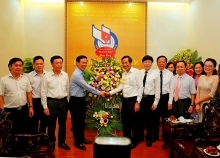 Regarding the fourth Industrial Revolution or Industry 4.0, the leader said Vietnam will take proactive actions to improve its labour productivity, adding that making use of Industry 4.0 is the best way for the country to develop fast and sustainably. 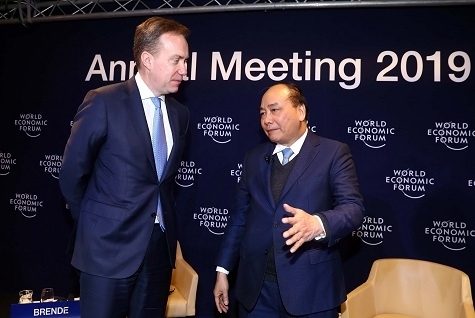 The Vietnamese Government is building a national strategy on Industry 4.0 and preparing to set up a national innovation centre, he said, noting that Vietnam is the first Southeast Asian nation to cooperate with the WEF to establish a centre on Industry 4.0.